School buses are the safest mode of transportation for getting children back and forth to school. Riding in a school bus is safer than walking, riding a bicycle, or being driven to school in private vehicles. 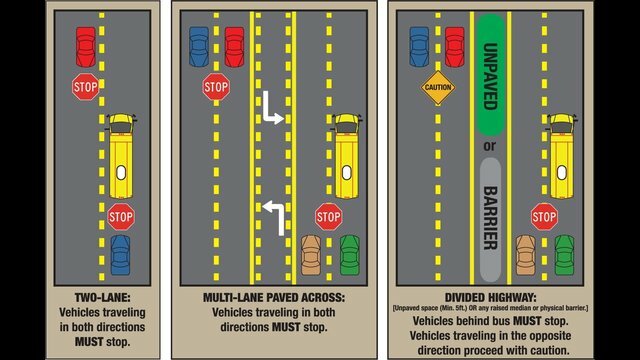 Today’s school buses are built with safety in mind. According to the National Highway Traffic Safety Administration, children are protected in large school buses by compartmentalization, a passive occupant protection system. This provides a protective envelope consisting of strong, closely-spaced seats that have energy-absorbing padded seat backs that help to distribute and reduce crash forces. Compartmentalization is most effective when occupants are fully seated within the bus seat. Seating should be provided that will allow each occupant to sit on a school bus seat without any part of his or her body extending into the aisle. The majority of bus-related deaths and injuries involve pedestrians-mostly children-who are struck by a bus or injured when they are exiting the bus to cross traffic. motorist who discovered the motorcycle rider positioned within the roadway. Douglas Secord age 61 from Lum was the rider and lone occupant of a Harley Davidson motorcycle that was traveling west on Burnside Road. This area is very rural and a deer traveled north in direction across the roadway in Secord’s path. Secord who was not wearing a helmet was ejected from his motorcycle and came to rest within the roadway. The motorcycle and deer (deceased) came to rest along the south shoulder. Douglas Secord was pronounced deceased at the scene. this fatal traffic crash. Alcohol is being investigated as a potential contributing factor. Release: Sunday 07-16-2017 at 8:30 AM. During the early morning hours of Sunday 04-16-2017 (around 2:00 AM), there were at least four reported incidents in Lapeer County in which either rocks or bricks were thrown at motor vehicles traveling upon the roadways. In each case, the object thrown originated from a motor vehicle traveling in the opposite direction. A suspect vehicle was described as a black passenger vehicle (either Honda Civic or Chevrolet Lumina). In these cases, there was considerable amount of damage to vehicles including the windshields shattered. Fortunately, there were no injuries reported. Hayes and Oregon Road in Lapeer. A suspect vehicle was described as a white Chevrolet Lumina (1990’s model). Once again, the vehicle struck had considerable amount of damage but fortunately there were no injuries reported. This malicious and reckless act is not only causing thousands of dollars’ worth of damage but placing motorist in extreme danger. The potential danger to motorist is very concerning to Lapeer County Sheriff Scott McKenna. Michigan Compiled Law (MCL) 750.3942 prohibits throwing objects at a motor vehicle and has the following penalties associated. 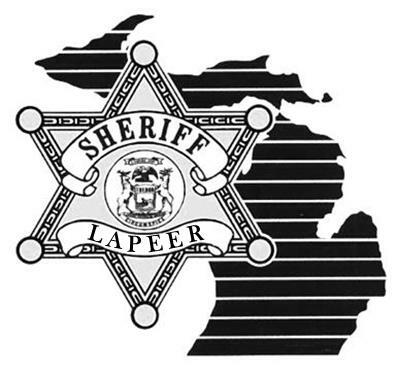 Lapeer County Sheriff’s Deputies will be assigned directive patrol in these areas in both marked and unmarked units in attempts to locate, identify, and arrest the responsible parties before injury or death occurs. Until then, motorist are urged to use caution when traveling during the early morning hours. If anyone has any information, please contact the Lapeer County Sheriff’s Office at 810-664-1801 or Lapeer County Sheriff’s Tip line at 810-245-1374. On Friday 04-14-2017 around 5 AM, Lapeer County Sheriff’s Deputies responded to Bristol Road in Imlay City (Lapeer County’s Imlay Township) for an individual that was breaking into automobiles parked within driveways. A home owner observed and confronted a male subject. The individual fled north on foot and entered a dark colored automobile. It was later determined that at least three different vehicles (separate residences in that immediate area) were entered. Property was stolen from the vehicles. Deputies located a dark colored automobile within the immediate area that fit the suspect’s vehicle description. This vehicle was occupied by a 27 year old female from Bruce Township. Additionally, Almont Police Department was informed by a citizen that they picked up a male walking in the Bristol Road area and gave them a ride to a residence within Kingsbury Mobile Home Community in Almont. The information and facts developed resulted in Deputy Jesse Rhodes and Deputy Chris Bowman visiting Kingsbury Mobile Home Park in Almont and arresting Michael Reed age 26 from Almont. 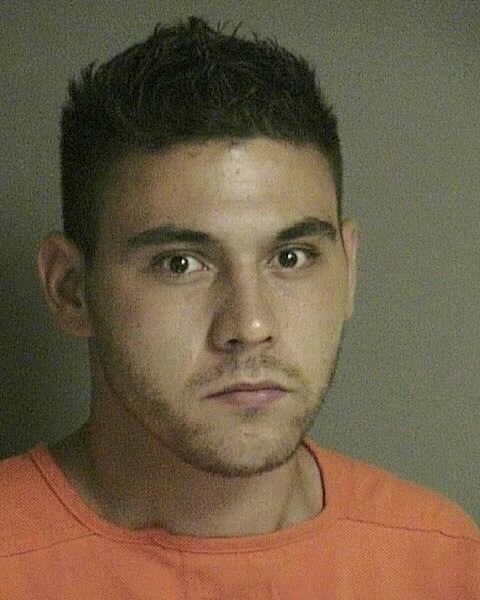 Michael Reed was transported and lodged in the Lapeer County Jail. Additionally, stolen property was recovered. On Friday 04-14-2017, the Lapeer County Prosecutor’s Office issued formal criminal charges for breaking an entry into a motor vehicle to steal personal property. Michael Reed was arraigned within the 71-A District Court. Michael Reed remains incarcerated in the Lapeer County Jail as of Monday 04-17-2017 on a $500 bond. Lapeer County Sheriff Scott McKenna is pleased that the case was successfully resolved and stolen property returned to owners. The successful resolution can be contributed to the outstanding work performed by Deputy Rhodes and Deputy Bowman in concert with excellent working relationship between Almont Police Department and the Lapeer County Sheriff’s Office. Date and Time of Release: Monday 04-17-2017 1:30 PM. LANSING, MICH. The State 911 Committee gives tribute to Michigan telecommunicators and their vital contributions to public safety. 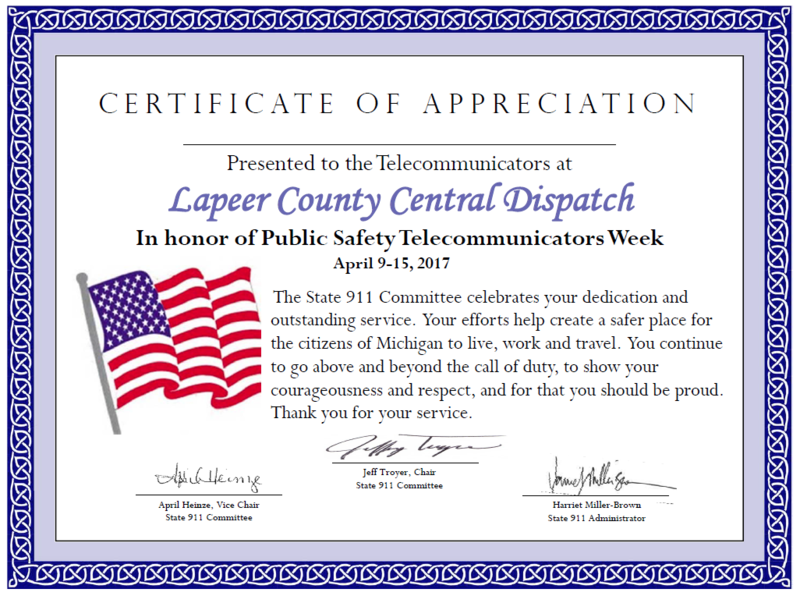 In 1991, the United States Congress designated the second week in April, this year April 9-15, 2017 as National Public Safety Telecommunicators Week. In Michigan, the State 911 Committee is privileged to honor the men and women who serve in this role to protect the citizens of our Great Lakes State. In Michigan, 911 centers serve as the primary point for dispatching police, fire, and EMS responses. 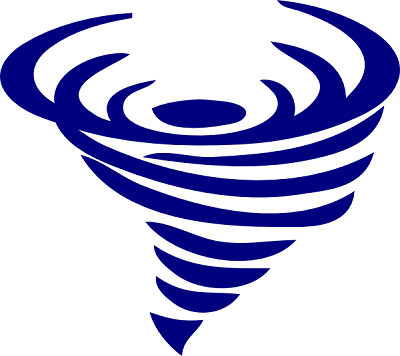 In addition to answering and dispatching emergency calls, telecommunicators also provide medical pre-arrival instructions; activate weather alerts, towing services, hospitals, road commission, utility, and public works department notifications; handle call-outs for specialized response teams such as search and rescue, activating medical examiners, and hazmat response teams. Telecommunicators receive calls through many various 911 dialing systems including wireless, traditional telephones, Voice Over the Internet Protocol (VoIP), and in some counties, via texts. There are 143 Public Safety Answering Points (PSAPs) in Michigan. According to the 2016 annual report, of the counties and service districts that reported, the telecommunicators in Michigan answered: 6,994,127 calls to 911, 2,814 Texts-to-911, and 7,546,952 calls from non-911 lines. There are approximately 2,089 telecommunicators in Michigan. Michigan is one of thirteen states to have training standards for telecommunicators. In becoming a telecommunicator, individuals first participate in 80 hours of basic and advanced dispatch training within their first 24 months of employment. Michigan designated telecommunicators maintain continuing education requirements by participating in approved courses and accumulating at least 24 continuing education hours every 24 months. On Sunday, 04-02-2017 at 7:00 PM, Lapeer County 911 dispatched Lapeer County Sheriff’s Deputies to an injury traffic crash on Oregon Road to the east of Hayes Road in Lapeer (Lapeer County’s Oregon Township). A 1992 GMC Yukon was traveling east on Oregon Road. The vehicle traveled over the center line and westbound lane before departing the north side of the roadway. The vehicle traveled within the north ditch for approximately 50 feet before striking a tree. The collision type is considered head on. The driver and only occupant was pronounced deceased on scene. Lapeer City Fire and Rescue extricated the driver from the vehicle. The driver was wearing his seat belt and the vehicle was not equipped with airbags. The name of the deceased driver is being withheld pending notification. Oregon Road was closed for approximately 2 ½ hours for investigation and extrication purposes. Lapeer County Sheriff’s Deputies were assisted at the scene by Lapeer City Fire and Rescue and Lapeer County EMS Ambulance Service. Preliminary, neither excessive speed over the 55 MPH posted limit nor alcohol appear to be contributing factors. This case remains under investigation by the Lapeer County Sheriff’s Office and Lapeer County Medical Examiner’s Office. Anyone with information is requested to contact Detective Sgt. Jason Parks at 810-656-1015 or jparks@lapeercounty.org.